"Samsung UK spokesman last night said that bosses at the Korean firm were not happy with the image quality and needed more time to address this issue before launch." Same article has few other interesting bits of information: NX10 is only the first model and a higher specs version is expected in the future. Touch screen is a possibility. 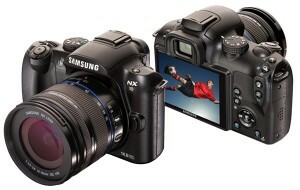 The Korean Times confirms that Samsung will not be buying Pentax for now. At the same time Samsung's CEO hints that they "will find new partners able to diversify possible channels for lenses" and also that "upcoming hybrid digital cameras, possibly in the second half of this year, will be equipped with SDI's own lens and image sensors".